Fort Myers has again been named the fastest growing city in America. Fox4 News reports Lehigh Acres has ranked the seventh fastest growing city in America with Cape Coral ranked 24th. The annual Wallet Hub report looked at the economic growth in 515 cities over the last seven years to come up with the list. With the accolades come the accidents. The end of Daylight Savings Time on November 4th will bring early darkness to the afternoon commute. Snowbird and seasonal traffic will soon follow, making it a great time to emphasize the need for improved road safety as we head into the year-end holidays. The reality is that decades of explosive growth have made the roads of Southwest Florida increasingly dangerous; meanwhile, the Lee County Commission has continued to pander to developers and keep in place deeply slashed development “impact fees” which have left our roadway and pedestrian infrastructure outdated and massively underfunded. Our growth has been staggering by any measure. Lee County’s population was barely 100,000 in 1970. By the year 2000, we had grown to 440,000 and today we are nearing 800,000. Federal statistics continue to show Florida is the most dangerous state in the nation for bicycle accidents, pedestrian accidents and motorcycle accidents. Florida joins California and Texas as the three most dangerous states for car accidents, drunk driving collisions and trucking accidents. Florida’s Integrated Report Exchange System reported 3,115 traffic deaths last year, and more than 166,000 injury collisions. Nearly 10,000 pedestrian collisions killed 659 people. Road Safe America has identified the Fort Myers-Cape Coral area as the nation’s most dangerous metro area for pedestrians. More than 6,000 bicycle accidents claimed the lives of 128 riders in Florida last year. Nearly 44,000 collisions were reported involving large commercial vehicles. The Governor’s Highway Safety Association reports more than 500 motorcycle riders were killed in Florida last year, accounting for more than 1 in 10 rider deaths nationwide. 40 states typically report fewer than 100 rider deaths each year. California and Texas are the only other states to routinely report more than 400 motorcycle deaths annually. The News-Press reports 2018 is shaping up to be another deadly year on the roads of Southwest Florida. In 2016 and 2017, Lee County reported back-to-back years of more than 100 traffic fatalities for the first time in more than a decade. Distracted driving: Driver distraction is blamed for as many as one-third of all traffic accidents. In addition to hand-held and on-board electronics, common distractions include eating, talking to passengers and outside distractions. Speeding: The most commonly cited traffic infraction involved in motor-vehicle collisions. Speeding not only reduces reaction time but increases the force of impact. Drunk driving: The National Highway Traffic Safety Administration reports drunk drivers cause more than 10,000 traffic fatalities each year. Drunk drivers are responsible for more than 25 percent of fatal traffic collisions in Florida. 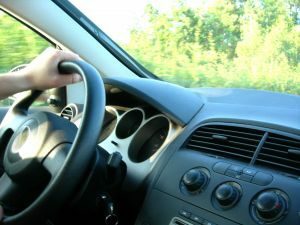 Aggressive driving: It doesn’t have to be road rage to be dangerous. Speeding, driving too fast for conditions, abrupt lane changes, tailgating, abrupt acceleration or braking and failure to use turn signals are all forms of aggressive driving that commonly result in collisions. Poorly Designed & Overcrowded Roadways: Given the revenue shortfall from the lack of previously imposed “impact fees” many of our roadways in Lee County are cheaply and negligently designed and operated. Many of these negligently designed and overcrowded roadway issues may be “Operational” decisions that would subject the county to a lawsuit. If you are injured, contact Fort Myers injury attorneys at the Garvin Law Firm at 800.977.7017 for your free initial consultation.